In the tradition of past Chicago prototype modeler meets, Resin Car Works is working with a few manufacturers to offer a special mini-kit for the RPM Chicagoland registrants. 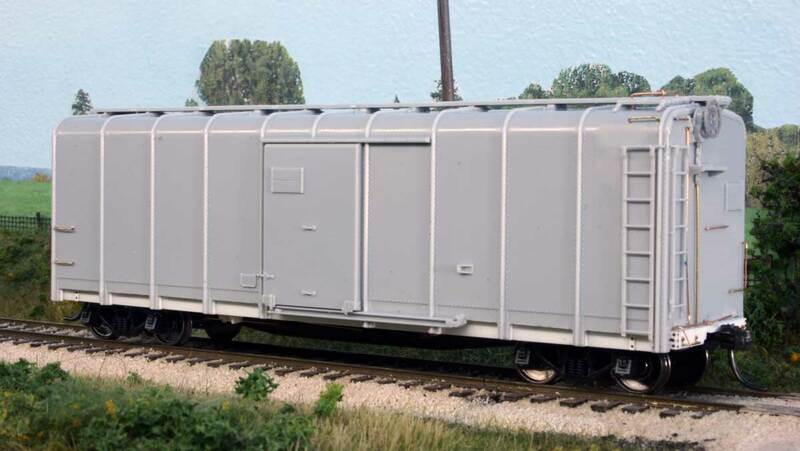 Parts for a Baltimore & Ohio M-15k wagontop box car will be available in HO and N scale for those registering early. 200 HO kits and 50 N scale complimentary kits will be ready for the early registrants. Please choose the appropriate scale when you register for the event to ensure you receive a kit. 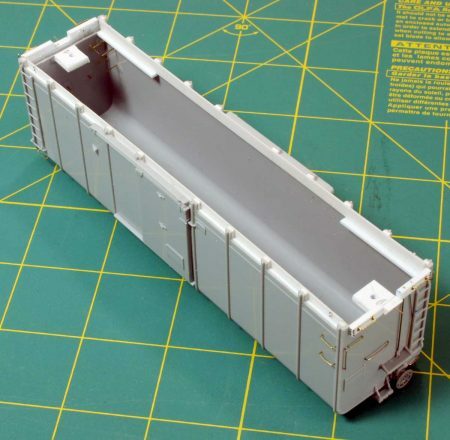 The HO scale parts consist of a Fox Valley Models M-53 car shell, an Accurail fishbelly underframe, an AB brake system, some wire and styrene, and a couple of resin parts. Trucks and couplers are not included. The car body shell is modified to reflect the toothy sill of the prototype. Portions of the sill between the side stakes are removed with a sharp knife and dressed with sanding sticks or fine jeweler’s files. The underframe will need AB brake system components and appropriate brake rods and levers installed. Once the work is completed, the model reflects a popular B&O box car. In 1936 and 1937, the railroad converted nearly 1300 older M-15 classes of wood double-sheathed box cars that had been installed in the Teens. New, steel sheathed, Wagontop car bodies replaced the original wood sheathed body on the original steel fishbelly center sill underframe. 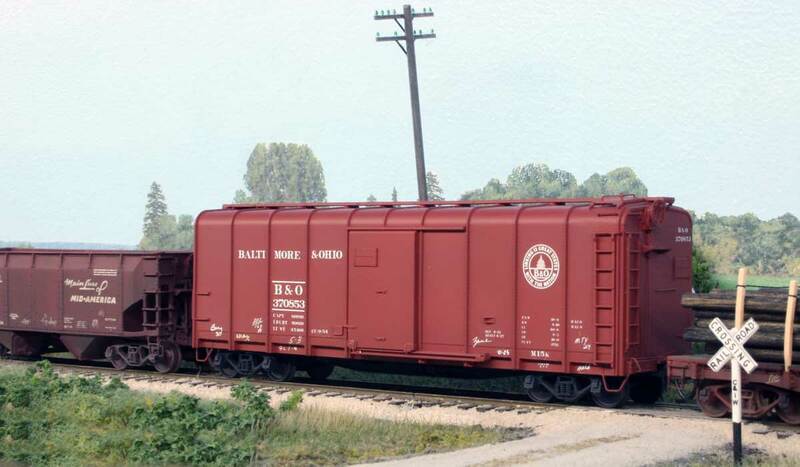 Fifty of these conversions became M-15L automobile boxcars. The B&O numbered these M-15k class box cars in two series; 370000-370989 and 371000-371249. The M-15L cars were numbered in the 379000-379049 series. In the mid-1950s, nearly all of the remaining M-15k box cars received new underframes to replace the original 40 year old components. RPM Chicagoland will be held October 20-22, in Lisle, IL. Make your plans and register early so you can receive one of these B&O M-15k mini kits. We will see you there! Will there be any potential opportunity to purchase this kit for those of us who would love to, but are unable to attend the RPM meet?